We’ve just crossed a new significant milestone – Over 100 Hit Games built using Buildbox! Now a total of 112 Buildbox games that have either broken the Top 100 in the games section in the App Store or have been featured by Apple. In fact, since our release, we’ve had more Apple features and Top 100 hits than any other codeless video game maker. Hit games like Color Switch (which has amassed over 150M downloads), Ball Jump, Blue Edge, Sky, Slip Away, Circulate, 99 Moons, .PXL and The Line Zen were all made using our software. Also, a lot of the meme based games that have become quite popular in the charts like Bottle Flip Challenge 2, Damn Daniel, Cash Me Outside, Trump on the Run and The Running Man Challenge were created with Buildbox as well. There has been a total of 78 Buildbox made games that have been featured by Apple worldwide, and we’ve also had over 30 different games that were not featured to break the Top 100. That’s an amazing feat! Our customers have been taking the charts by storm. They all found success without writing a single line of code. With Buildbox there’s no coding or technical skills required. We’re one of the only game engines that are entirely codeless that also allows you to make professional games. It’s what makes us different from other platforms. Also, it’s the main reason why our customers have been able to make hit games, one after another. Anyone with the desire to make a game, can dive right in and start creating. Due to the built-in creator tool, multiple worlds feature, custom effects, and control system in Buildbox, you can make your game come to life. The ease of use and rapid development features provides users with endless possibilities. Color Switch and Typographical are two great examples of this in action. Color Switch was originally created in one week using Buildbox. Due to our software’s rapid development ability, the game’s creator, David Reichelt had a working prototype of the game within hours. It only took him a week to complete all the levels to finish his hit game. Color Switch was #1 in the App Store for a record-breaking 27 consecutive days and has amassed over 150,000,000 downloads worldwide. 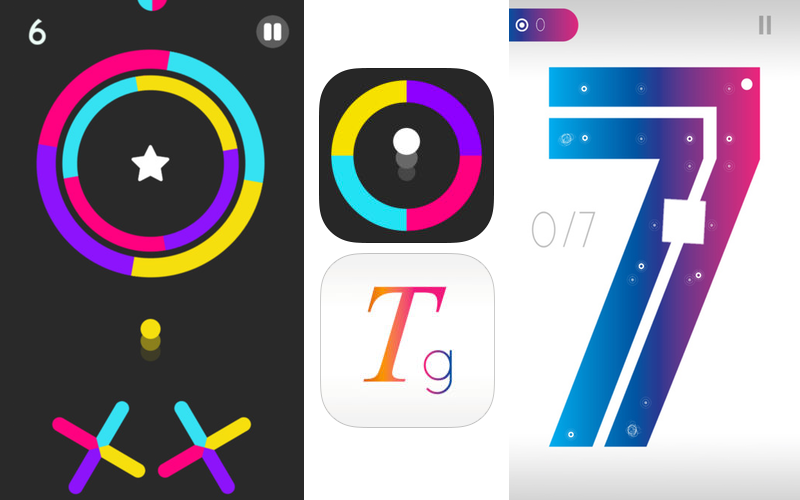 Another successful game, Nanovation’s Typographical, was created by Stylianos Kozadinos a Buildbox customer who at the time was working a full-time job. He created his hit game Typographical in 1.5 months by working on it ONLY in his spare time. The game is quite impressive. It’s similar to US Two’s Monument Valley with visuals and gameplay more like a piece of interactive art than anything else. The game was featured by Apple and ranked #1 in the word/puzzle game category. Both Reichelt and Kozadinos’ stories are good examples of the type of success that’s possible with Buildbox’s capabilities. It’s amazing to see our customers achieving their dreams of making hit games. We hope to continue to see more games added to that list, and we’re looking forward to reaching more remarkable milestones in the months to come. Thats why they made a 30 day free trial. Agree, too expensive for individual developers since we are not making money yet.